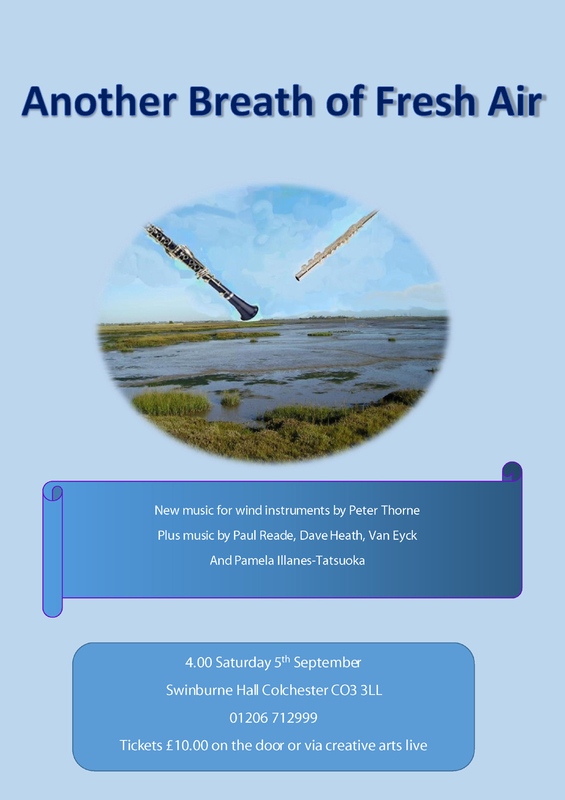 On 5th September the Swinburne Hall (Colchester Institute) will play host to a concert of new music for wind instruments by CNM member Peter Thorne, plus Paul Reade, Dave Heath, Van Eyck and Pamela Illanes-Tatsuoka. The concert starts at 4pm; tickets available for £10 on the door, or via the Creative Arts Live box office. This entry was posted in Uncategorized on July 29, 2015 by AlexanderBlustin.